I Live Again Uganda aren’t an official CRED Partner, but they are certainly good friends of ours. 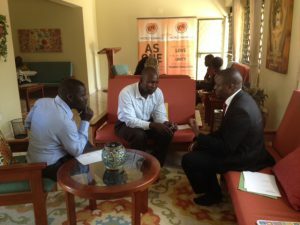 A Ugandan NGO, they describe themselves as ‘an indigenious organization with a passion for serving our own people. Our mission is to give hope to the people of Northern Uganda through holistic restoration and encourage those we serve to live a life of purpose. We are non-profit organization run by Ugandans serving Ugandans in a post war culture’. 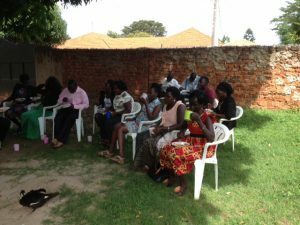 ILA have given input to many a CRED Team Uganda through being willing to share with team members about the background plight of the Acholi people, especially with reference to the Lords Resistance Army war, and until now that has been the primary extent of our interaction. 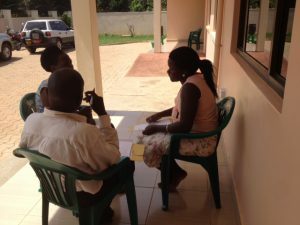 But, this week the relationship has gone to a deeper level, through the facilitation of some counselor training workshops for ILA volunteers by a professional UK trauma counselor. And they are working in communities that have both perpetrators and victims living side by side, some of whom have done the forgiving of the other and some of whom haven’t yet got to a place of feeling able to forgive. 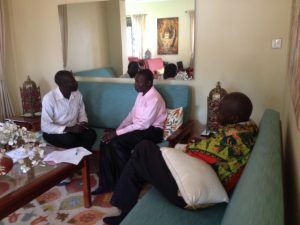 The counselling workshops are proving to be very successful, and very beneficial in many ways. So far, much of the counseling that ILA staff have been doing has been, according to them, somewhat intuitive and ‘on-the-job’ learning – which says a massive amount about what amazing counselors these folks are, as they have been helping so many people work their way through pain and hurt at very deep levels. But through these workshops, academia is being added to deepen and embed the knowledge, and in so doing the workshops are confirming what the counselors are already doing, and also helping to refine and improve techniques. 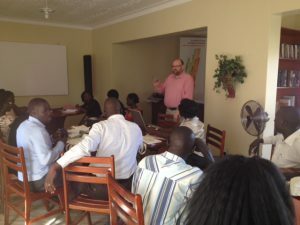 Some of the discussions today have been around contextualising techniques to what is suitable here in northern Uganda but they have also involved working out where sometimes the technique is better carried out without cultural refinement as it will ultimately be of more benefit to the client and community. Until recently, ILA were carrying out a range of programs but in the past few months they have taken the decision to focus more specifically on trauma counselling as there is such a recognized need. The timing of these workshops is so perfect to fit in at the beginning of this focus shift and to equip the increasing number of counsellors to provide an even better and higher quality service than they already give. CRED is also going through a time of review but it is so great to know that we are still able to support partners in a range of ways, including delivery of professional skills.